Violinist Christina McGann has been a featured performer as soloist, recitalist and chamber musician at the Kennedy Center, the Tel Aviv Performing Arts Center, New York City’s Merkin Hall, Symphony Space, and Bargemusic, and at various venues throughout the US, Korea, El Salvador, and Europe. 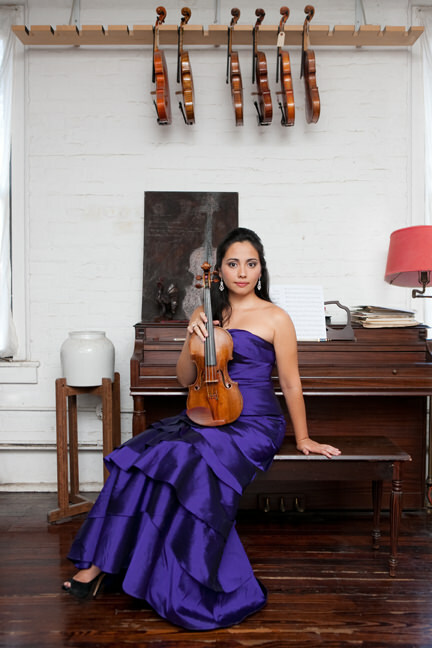 She has been awarded prizes from Johansen International Competition, National Symphony Young Soloist Competition, Lennox Competition, Fischoff Chamber Music Competition, Ackerman Chamber Music Competition, and Chamber Music Yellow Springs. McGann holds both BM and MM in violin performance from The Juilliard School where she was accepted with Presidential Distinction. She received her doctorate from SUNY Stony Brook where she was awarded the Samuel Baron Prize for career advancement. Her teachers include Ronald Copes, Victor Danchenko, Soovin Kim, Robert Mann, Philip Setzer, Hagai Shaham, and Donald Weilerstein. McGann is currently faculty at the Blair School of Music at Vanderbilt University and Concertmaster of the Nashville Opera.